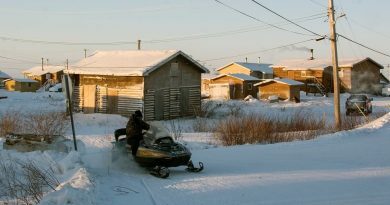 Quebec’s liquor board has granted an alcohol permit for a Montreal resto-bar, despite concerns it will create an unsafe environment for Inuit staying at a nearby boarding home as they seek medical care in the Montreal area, in southeastern Canada. 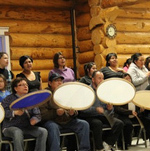 The Ullivik boarding home provides support and a place to stay for Inuit who come to Montreal to receive healthcare that is otherwise unavailable in Nunavik, the Inuit region of Northern Quebec. “[The resto-bar] will destroy the life of Inuit in Montreal,” said Johnny Michaud, an Inuk man staying at Ullivik to treat health problems. 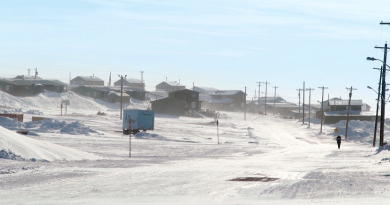 From Puvirnituq, a small village in Nunavik, Michaud told CBC News he had issues with drinking when he was younger. He said having the resto-bar so close by would create problems for people staying at the boarding house. 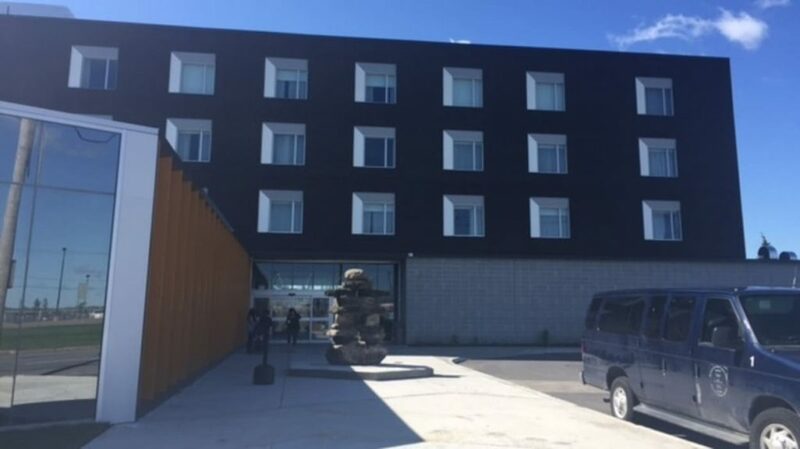 It’s located about 600 metres from the proposed Resto Bar Archies, which is planned to be built in the basement of the Auberge de l’Aéroport Dorval. 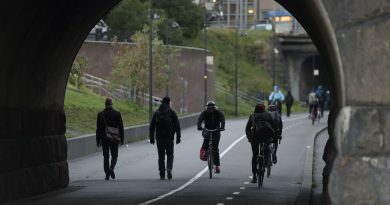 “It’s going to be very dangerous because of traffic. Sometimes [the cars] go fast,” he said. That was echoed by Maggie Putulik, Ullivik’s director. 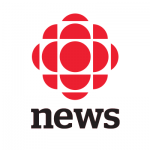 “I’m concerned for the safety of our clients,” she told CBC Montreal’s Daybreak. The owner of the resto-bar, Achillies Vriniotis, owns another bar around the corner from where the boarding home used to be located, on Tupper Street in downtown Montreal, Putulik said. Now, she has accused Vriniotis of following Ullivik’s clientele to Dorval. “Obviously, the owner of the bar is following our clients because there’s a guaranteed profit to be made,” she said. According to a summary of the decision, issued by the Régie des alcools, des courses et des jeux on July 27, Vriniotis applied for a permit to serve alcohol at a resto-bar he plans to open in the basement of the hotel. The Auberge de l’Aéroport Dorval is on Michel-Jasmin Avenue, just off Highway 520 near Montreal’s Pierre-Elliott Trudeau International Airport. Vriniotis is leasing space from the hotel, which didn’t renew its previous alcohol permit about a decade ago, the decision said. Granting the permit “doesn’t go against the public interest,” the board said, nor does it present a threat to public security or public tranquillity. Vriniotis also owns Bar GA in the Alexis-Nihon shopping centre, on Atwater Avenue in downtown Montreal. That bar has been in his family for three generations, the board’s ruling stated, and it has always been “very strict” on the presence of minors, narcotics and over consumption at the establishment. Vriniotis told CBC News he wasn’t opening the new establishment in Dorval in order to follow Ullivik’s clientele. He said he wanted to open it in order to cater to guests of the hotel. “I saw an opportunity and I took it,” Vriniotis said. “Being in the vicinity of the airport, our studies have shown that the guests usually favour hotels with a restaurant in them where they don’t have to travel again for food or a quick drink,” he also said, in a written statement. 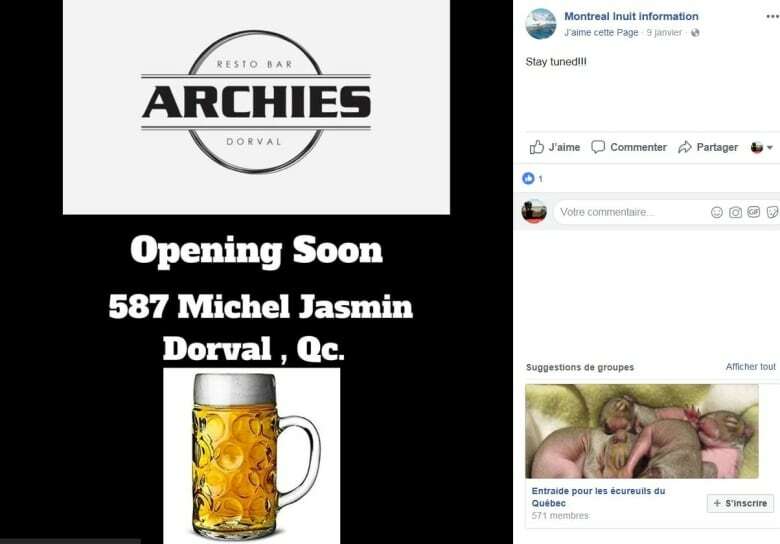 However, ads for the future resto-bar have appeared on a Facebook page called Montreal Inuit Information, which is touted as a helpful resource for Inuit coming to the Montreal area. Émilie Thibault, a lawyer with Cain Lamarre law firm representing Ullivik, sent CBC News screen grabs of those posts on Wednesday. 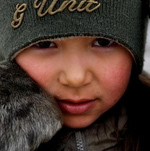 They were published on the Montreal Inuit Information and the bar’s Facebook pages, she said. 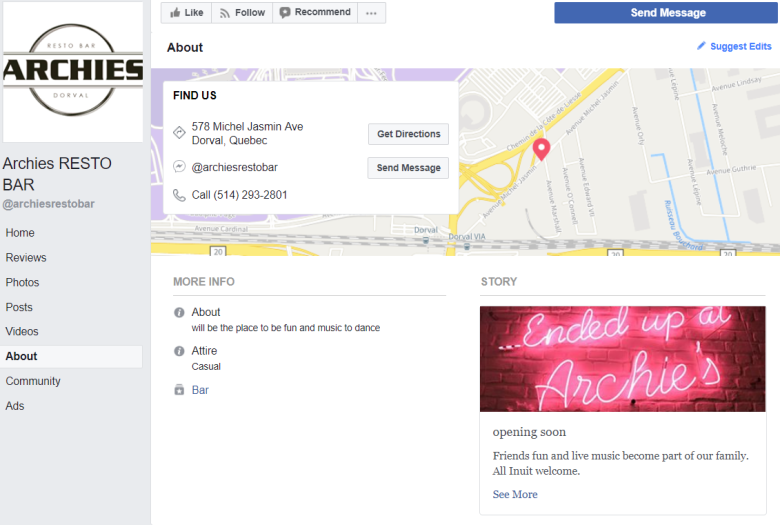 CBC News’ search for the Archies Resto Bar’s Facebook page turned up no results on Wednesday. When asked by CBC News about the “All Inuit welcome” description on Facebook, Vriniotis​ only said he’s not allowed to advertise to Inuit clientele, as per the board’s decision. 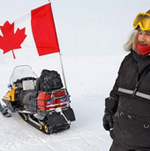 Vriniotis​ also said the Montreal Inuit information page is not his, and said he didn’t know who made the posts on that page. In addition to the boarding house, Montreal police and the City of Dorval (a Montreal borough) have also raised concerns about the establishment. 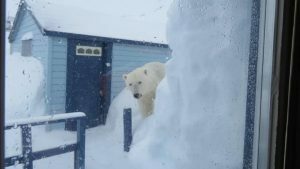 They all expressed fears the resto-bar would lead to an “increase in the consumption of alcoholic beverages by people from the Inuit community housed at [Ullivik],” the board stated in its decision. For us, it doesn’t make sense to have such a bar, such a restaurant, in the area. 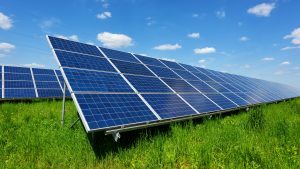 In recent years, there has been an increase in municipal bylaw infractions and complaints in the area, the board said. 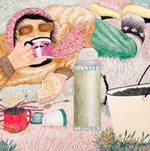 Many of the cases involved Inuit and alcohol consumption. 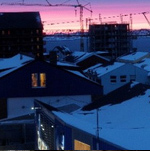 The board said there are other places to obtain alcohol in the area near the Ullivik boarding home. It said people raising concerns about the new resto-bar’s impact on the community failed to demonstrate that its presence would lead to an upsurge in alcohol consumption among residents of Ullivik. 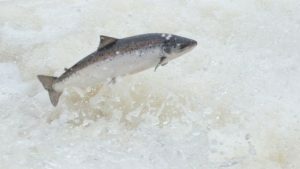 Sébastien Gauthier, a spokesperson for the City of Dorval, said since the area is zoned for this type of business, it had to issue the proper permits required to set up the resto-bar. “We’re opposed to the construction and creation of this establishment,” he told CBC News in a telephone interview. 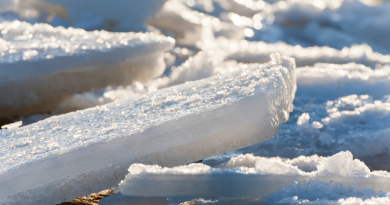 Ice-Blog: Ice melt to motivate whizzkids?